Gina Kolata’s book, Rethinking Thin, examines scientific evidence that explains why so many dieters fail. Overall, research indicates that it is extremely difficult to lose weight and keep it off because most weight loss approaches are in conflict with genetic predispositions and the body’s natural survival strategies. There is a tendency in our society to ascribe moral superiority to the thin and to view being overweight as the result of a lack of will power or strength of character. However, the reality is very different. For one thing, the assumption that all people experience hunger and the need to eat in the same way is false. Different balances of certain hormones such as Leptin (which signals satiety), basal metabolic rate (how fast calories are burned), and other biological predispositions actually create a more intense need to eat in those who have a tendency to gain weight. Most people are overweight due to a strong, inherited physiological disposition rather than weakness of will. Studies have shown that even when a child is adopted by a thin family with moderate eating habits, if his or her biological parents are obese, the child will most likely become obese as well. The tendency toward obesity is inherited, and so to treat overweight people as though they are at fault for the situation is extremely unfair. There is a common misconception that thin people are always healthier than those who are overweight. However, statistics indicate that although the severely obese do suffer more medical problems and die younger, the very thin do as well. From a health perspective, it is actually better to be moderately overweight than very thin. There is also a pervasive myth that a person cannot be fit and fat. The reality is that many of those classified as overweight are far fitter than their skinny counterparts. A physically active overweight person who gets plenty of cardiovascular and weight-bearing exercise will be far healthier than a skinny inactive person. Overall health and fitness are related more strongly to exercise levels than to weight, unless weight falls to one extreme or the other. People do lose weight initially on low-carb diets, as they do on many fad diets. However, most hit a plateau and then the weight usually comes back on as the body attempts to protect itself from perceived starvation. The trouble with extreme diets is that dieters cannot maintain the excessively low caloric intake. Unless a person has superhuman will power, it is impossible to continue with what basically amounts to borderline starvation indefinitely. Cravings for more calorific foods increase until inevitably, the dieter falls off the wagon. And because the dieter’s metabolism has slowed in response to the low caloric intake, weight comes on more easily than ever. Despite high failure rates for diets, there are many people who take weight off and keep it off for life. Those who succeed do so by making significant lifestyle changes and choosing diets that they can maintain for life. This often means that weight loss is slower and less dramatic, but it is more inclined to last. The key to long-term weight loss is to make lifestyle changes that can be maintained indefinitely. Extremely low calorie counts and excessive exercise routines are not realistic strategies. Instead, dieters should aim for slow, steady weight loss that will not decrease their metabolic rate. The best weight loss approach is to increase the body’s metabolic rate through regular exercise and building muscle while decreasing daily calories only slightly. Healthy weight loss is slower than weight loss achieved from fad diets, but the weight is far less likely to come back, and the health consequences are positive rather than negative. As in the old story of the tortoise and the hare, the tortoise wins the race in the end. For more weight loss articles, see the main Weight Loss page. For full lists of health and fitness articles, see the main Mind/Body Health and Fitness pages. Reference: Kolata, Gina. (2008). 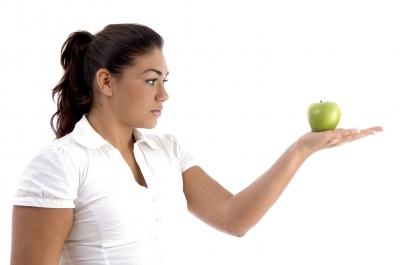 Rethinking Thin: The New Science of Weight Loss – and the Myths and Realities of Dieting. Picador.